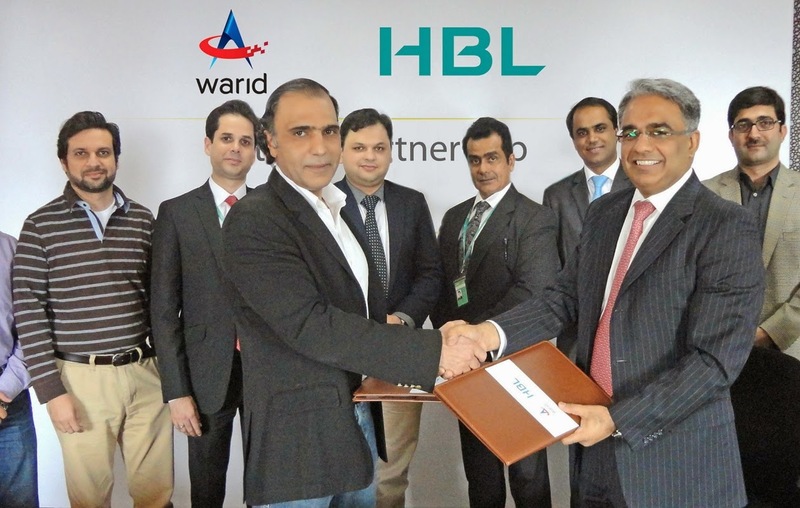 HBL and Warid Telecom Pakistan’s joins hands to implement an online payment solution for Warid Customers. After launch of Warid Online Bill Payment, customers will be able to Pay Warid Bill Online. Once implemented, the solution will allow Warid’s customers to pay their postpaid bills on Warid’s website, using any debit card or credit card. The technology back-end of the system will be provided by CyberSource, Visa’s internet acquiring payments system. Faiq Sadiq, Head Payment Services said "This is the first of its kind solution in Pakistan that ensures secure online payments and convenience for customers. This new online payment solution is keeping in line with our commitment to provide convenient banking services to our customers." Mr. Suhail Jan (left), Chief Commercial Officer, Warid Telecom while exchanging documents with Mr. Faiq Sadiq, Head Payment Services, HBL during an agreement ceremony recently held at Warid Telecom Head Office.